Aloe Blacc, Michelle Williams, Ruth B., and more join linuep for An Evening of Respect! The 2018 An Evening of Respect will take place on January 25 at the Apollo Theater in New York City. On the 50th Anniversary of the release of “(Sittin’ On) The Dock of the Bay,” Billboard announced this morning that Aloe Blacc, Michelle Williams, Ruth B., and Nikka Costa join Jussie Smollett, Warren Haynes, Marcus King, The Preservation Hall Jazz Band, Paul Janeway, Ty Taylor, and the song’s co-writer Steve Cropper for An Evening of Respect which will be held at the legendary Apollo Theater on January 25, just before the Grammys. 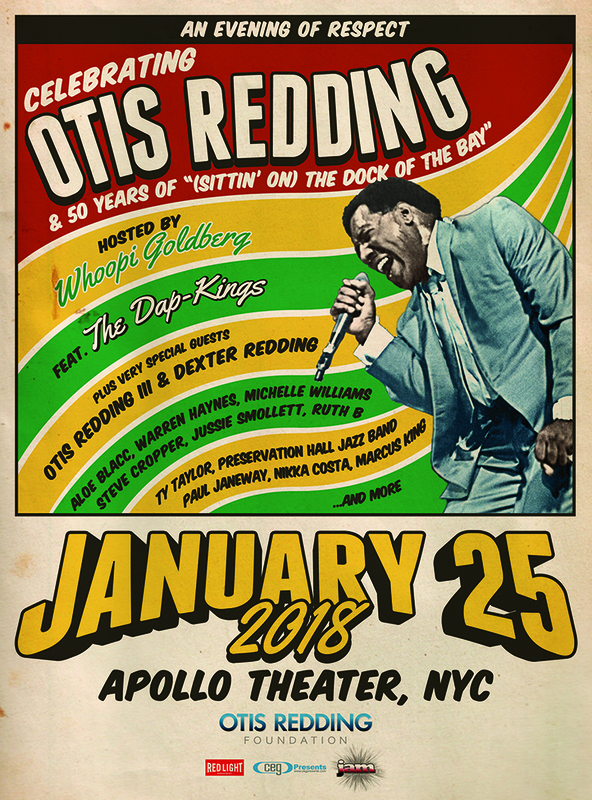 The newly announced artists join previously revealed performers Dexter and Otis Redding III, house band The Dap Kings, and host Whoopi Goldberg for the celebration. A few tickets remain for the incredible evening, which will not only celebrate the 50th anniversary of “Dock of the Bay,” but Otis Redding’s enduring legacy and influence. Read the entire story at Billboard.